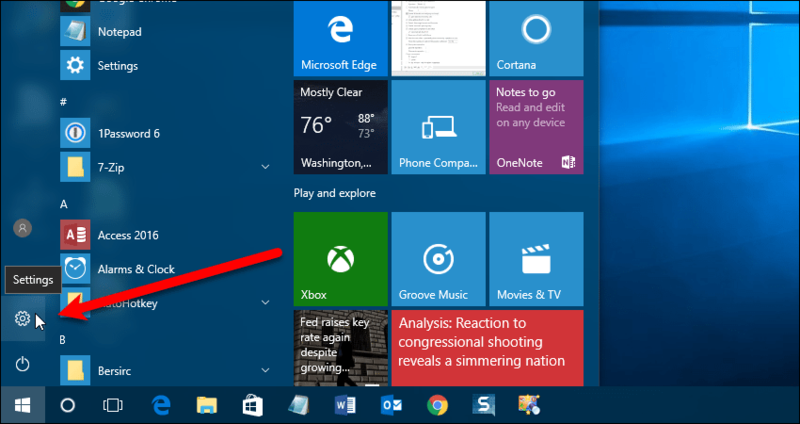 Windows 10 advertising is meant to “educate” you about all the new things Windows and its built-in apps can do. Notifications and pop-ups showing advertisements, suggestions, and tips related to the new features are displayed occasionally throughout Windows. 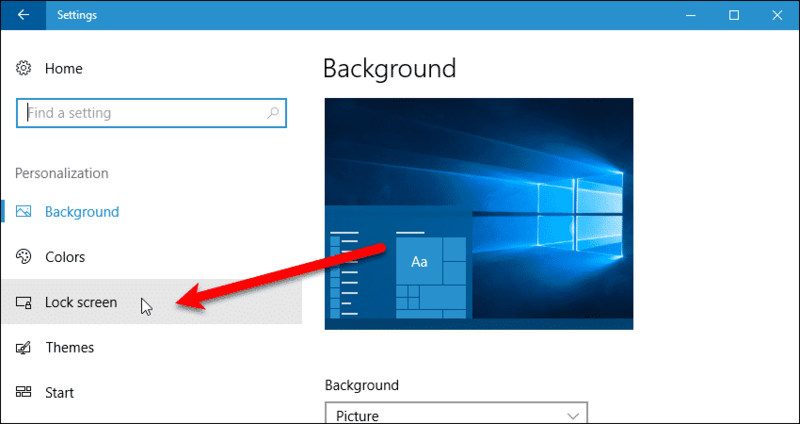 Even if you spend money on a copy of Windows 10 or purchase a new PC that comes with a Windows 10 license, you’ll see ads in various places in the operating system. But if you find these ads, suggestions, and tips annoying, you can disable many of them. Several of the methods we discuss here involve changing options in the PC Settings. So first we’ll show you how to access the “Settings” app. To open the “Settings” app, click the Start button and click the “Settings” (gear) button. Windows 10 advertising shows on the lock screen through Windows Spotlight, which will sometimes show cool wallpapers. But you also might see ads for Microsoft Rewards or games in the Windows Store. To remove the advertising from the lock screen, open the “Settings” app and click “Personalization“. Then, click “Lock screen” under “Personalization” on the left. 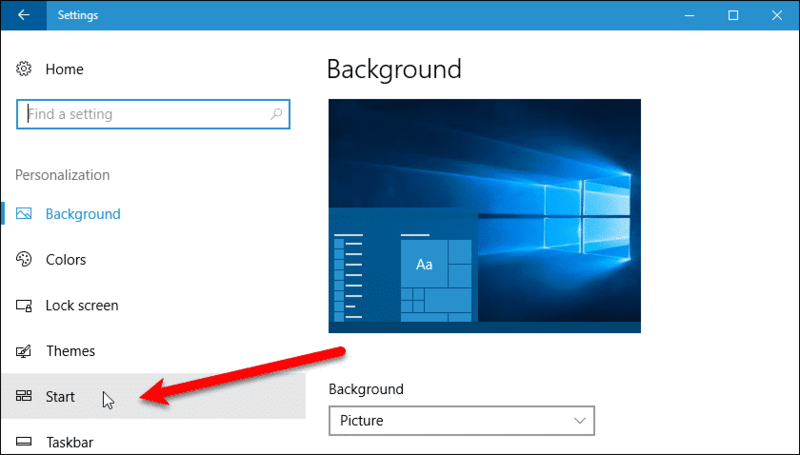 Click on the “Background” drop-down list and select either “Picture” or “Slideshow” instead of “Windows spotlight“. 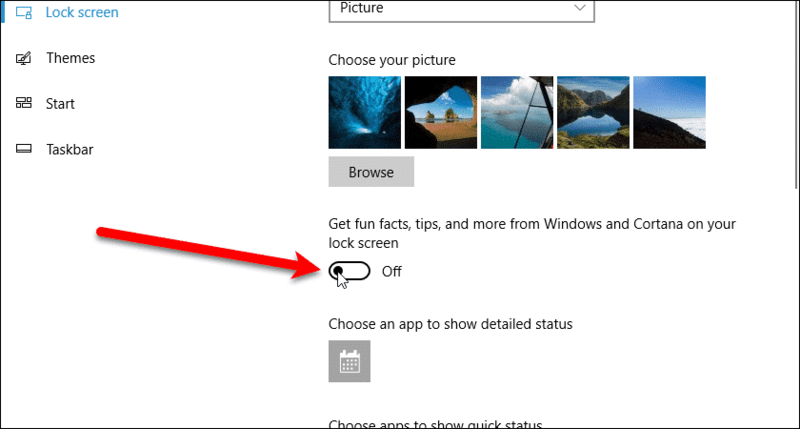 You can also disable the fun facts and tips from Windows and Cortana on the lock screen. 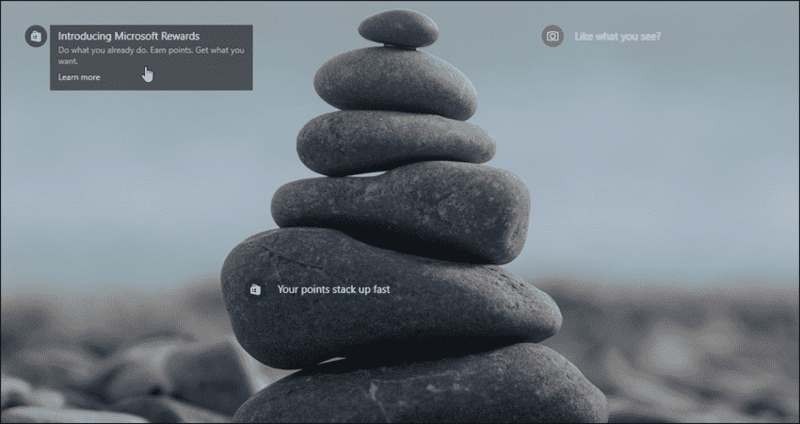 Click the “Get fun facts, tips, and more from Windows and Cortana on your lock screen” slider button so it turns white and reads “Off“. Windows 10 advertising will sometimes include “Suggested” apps in the Apps list on your Start menu as well as in the tiles on the right. These apps are not always free, and can sometimes cost a pretty penny on the Windows Store. Mostly though, they just take up space on your Start menu. 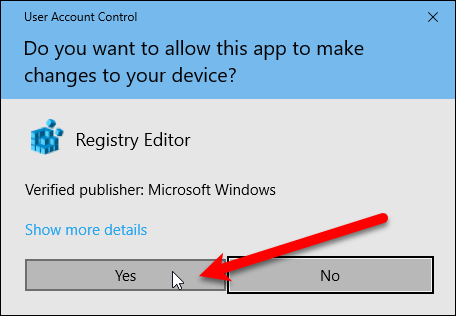 To remove the “Suggested” apps section from the Apps list on your Start menu, open the “Settings” app and click “Personalization“. Then, click “Start” under “Personalization” on the left. On the left side, click the “Occasionally show suggestions in Start” slider button so it turns white and reads “Off“. 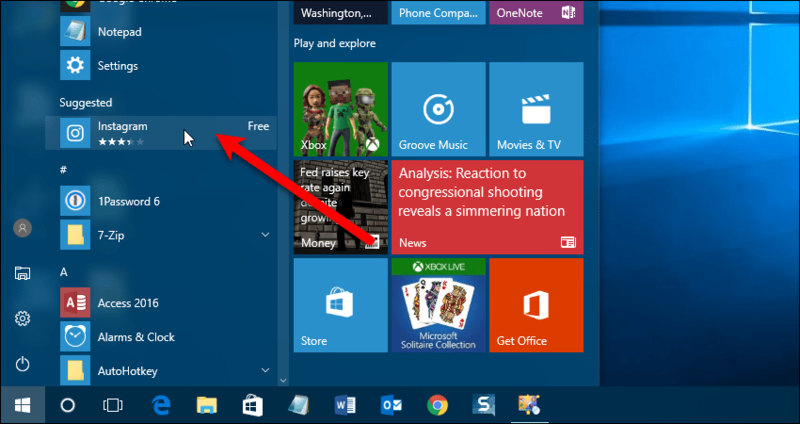 Now, you won’t see the “Suggested” section in the Apps list on your Start menu. 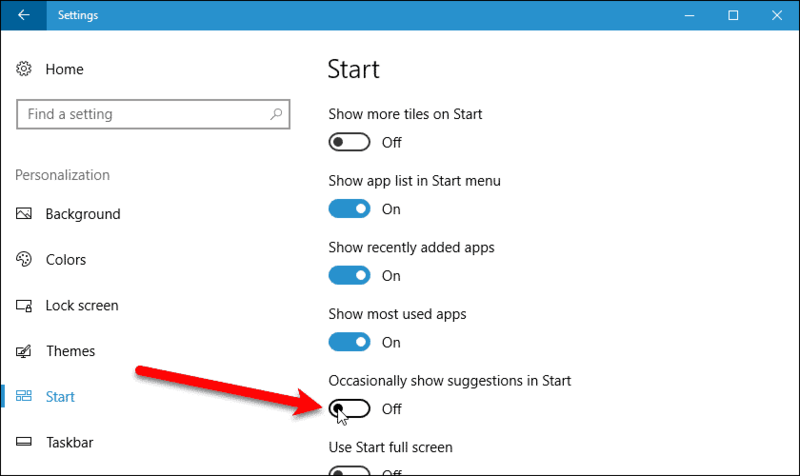 NOTE: The “Occasionally show suggestions in Start” option in the “Settings” app only removes the “Suggested” apps section from the Apps list on the Start menu. You’ll still see tiles for suggested app on the right. See the next section to disable all suggestions. The “Suggested” apps in the Apps List and in the tiles on the right of your Start menu are part of the Microsoft Consumer Experience. This includes occasional notifications from Microsoft. 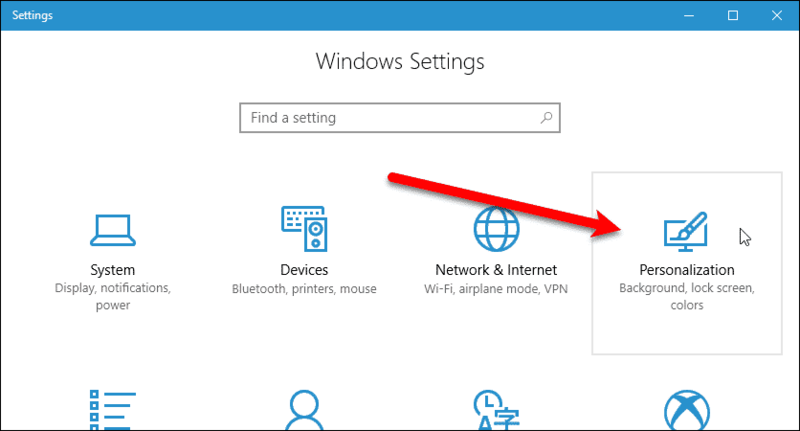 To turn off all of these suggestions, you need to either make a change to the registry or in the Local Group Policy Editor (Pro and Enterprise users only). However, we’ve made it easy for you and created two .reg files you can download to quickly disable or enable the Microsoft Consumer Experience. To disable the Microsoft Consumer Experience, extract the files from the “Disable-Microsoft-Consumer-Experience” file and double-click on the “Disable Microsoft Consumer Experience.reg” file. A warning dialog box displays warning you about making changes to the registry. We tested our .reg files and they work just fine. So, click “Yes” to continue. Once the change is made, a confirmation dialog box displays. Click “OK” to close it. To enable the Microsoft Consumer Experience again, double-click on the “Enable Microsoft Consumer Experience – Default.reg” file and click through the two dialog boxes as described above. Even if you disable the Microsoft Consumer Experience, there are still several apps on tiles that advertise to you or are pre-installed. Some pre-installed apps can be uninstalled. But unfortunately, you can’t uninstall all of these apps. For example, the Xbox and Store tiles are live tiles that show advertisements for apps and games that Microsoft want you to download and possibly purchase. Live tiles can be disabled, which will stop them displaying advertising. 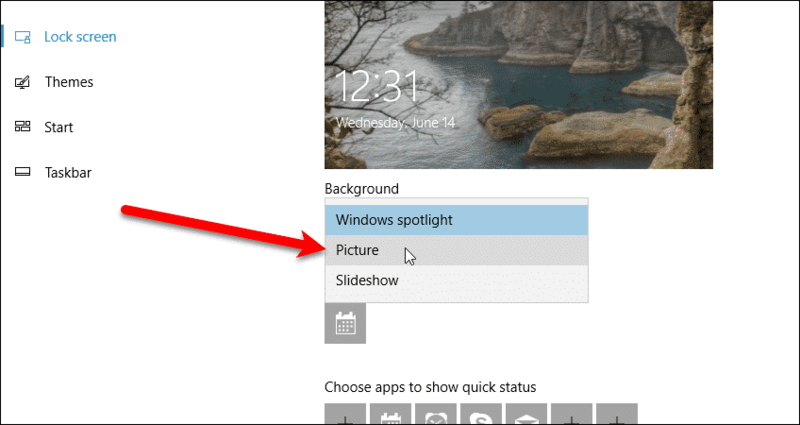 To disable a live tile, right-click on that tile. 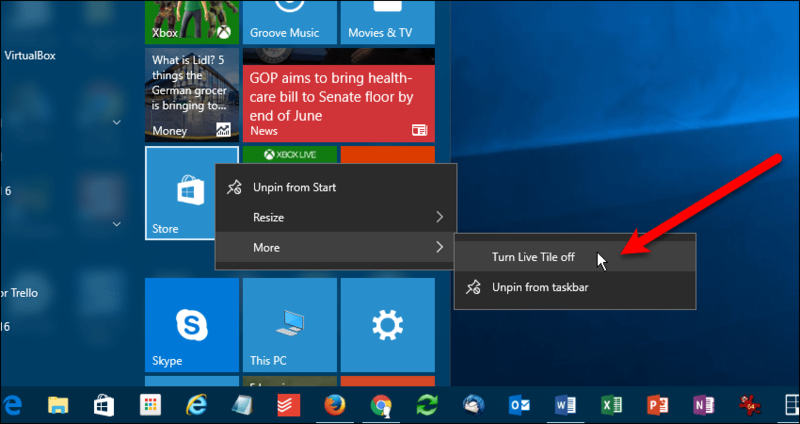 Then, go to “More” > “Turn Live Tile off“. This is useful for the Store tile, if you still want access to the Store, but don’t want to see the advertisements. However, if you don’t use the Xbox app, you can remove it from the Start menu. 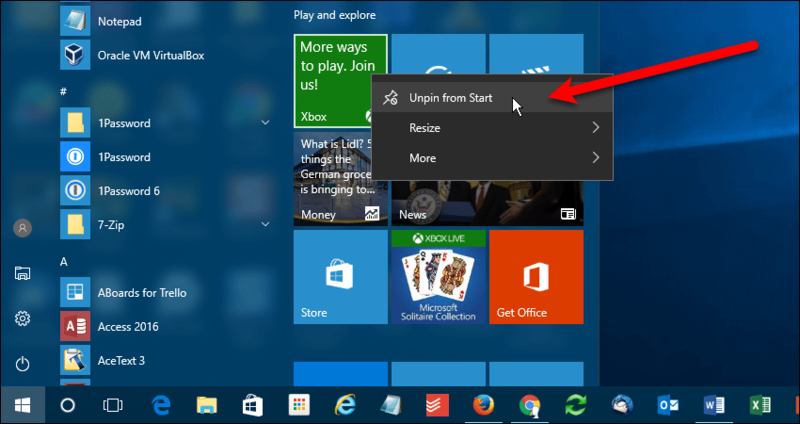 Right-click on the Xbox tile and select “Unpin from Start“. Some apps are given a tile, but are not actually installed. They are simply links to the app in the Store. These tiles can be unpinned also. Even though the Xbox app is still installed, it won’t take up space on your Start menu anymore. 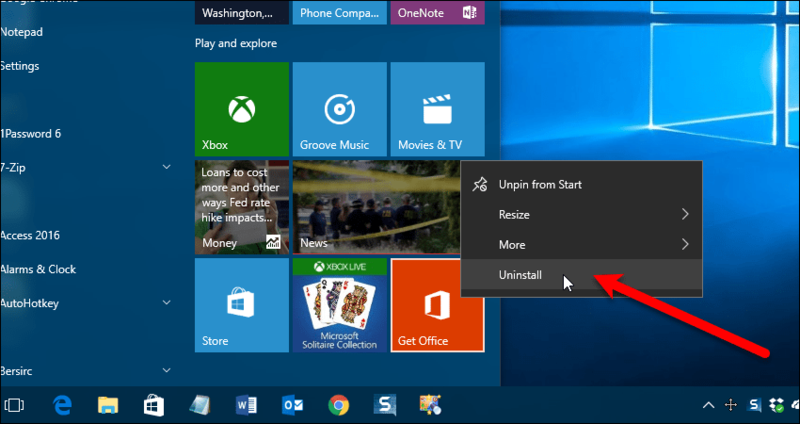 In addition to unpinning tiles and uninstalling apps, there are also many more ways to customize your Start menu. The Microsoft Solitaire Collection game comes pre-installed in Windows 10. We recommend uninstalling this game. It not only has advertising, but it also has really annoying video ads that are 30 seconds long. The advertising in this game can be removed by paying $10 per year. That’s pretty pricey for a game that used to be free. The same is the case with Microsoft’s Minesweeper game. It’s not pre-installed, but it also contains ads and costs $10 per year to remove those ads. 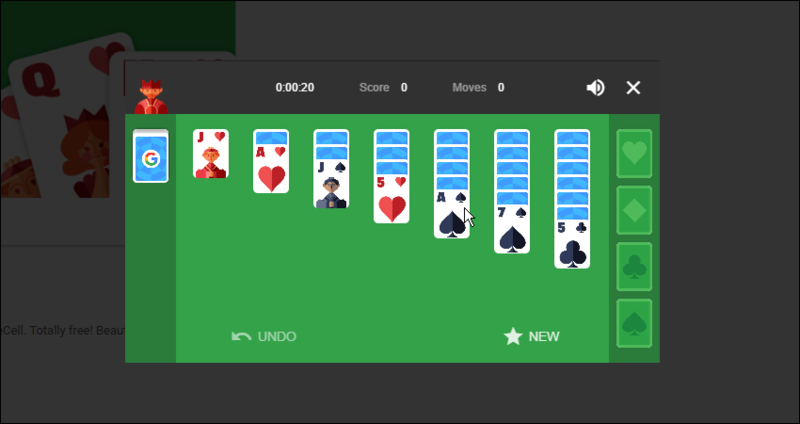 You can play Solitaire for free on Google. Simply search for “solitaire” and you find their ad-free version of solitaire at the top of the list of results. Windows 10 advertising can also be seen as Taskbar popup ads, which Microsoft likes to call “tips, tricks, and suggestions“. These popups include aggressive messages such as encouraging you to use Microsoft Edge to get better battery life and to earn Microsoft Rewards points. 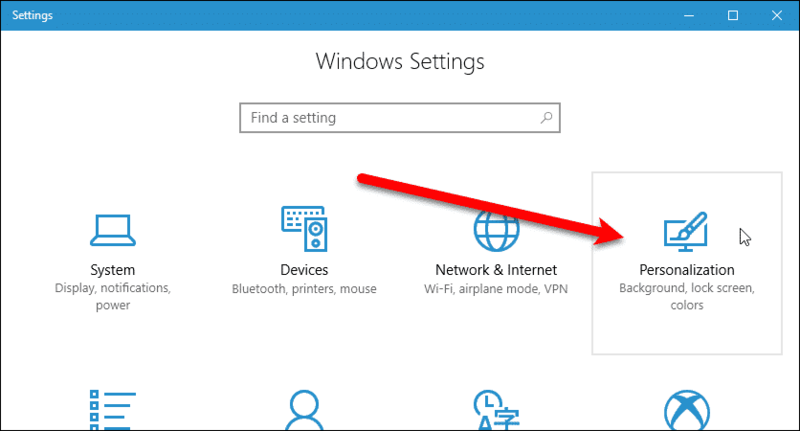 If you see ads pop up on your Taskbar, you can disable them. However, these are not notifications from the Edge app. They’re generated by the Windows operating system, so they must be disabled in the system settings. 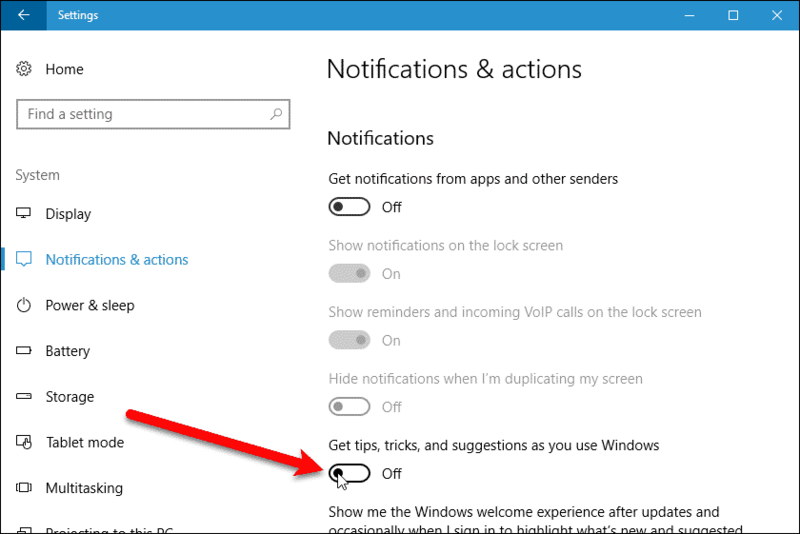 To disable the ad popups on the Taskbar, open the “Settings” app and click “System“. Then, click “Notifications & actions” under “System” on the left. 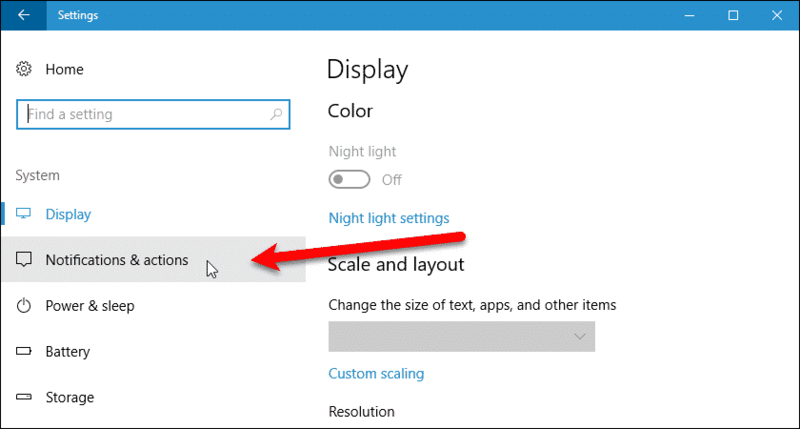 Click the “Get tips, tricks, and suggestions as you use Windows” slider button so it turns white and reads “Off“. Now, you won’t see those annoying popups on the Taskbar. Cortana will also distract you from time to time. You might see the Cortana icon bounce up and down on the Taskbar, trying to get you to use it. However, you can disable this perky bouncing, if it bothers you. 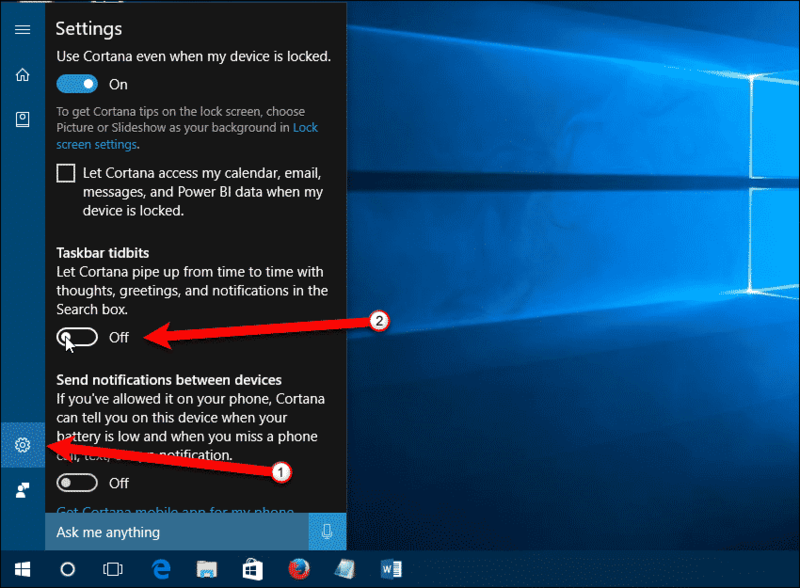 To stop Cortana from nagging you, click on the Cortana icon or box and then click the “Settings” (gear) icon. 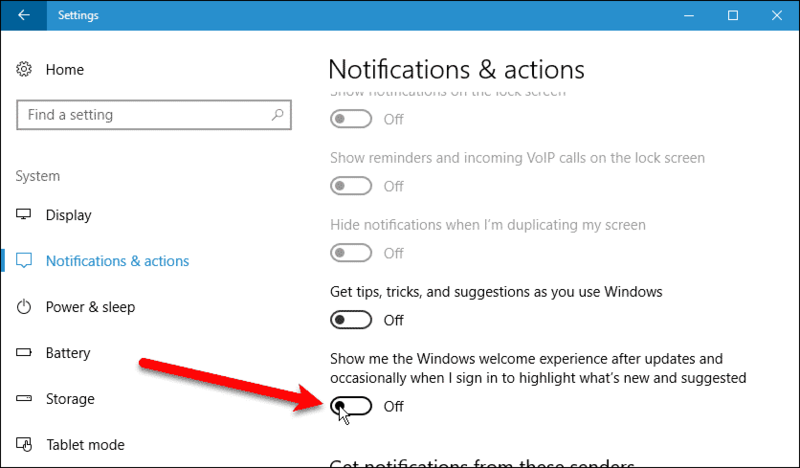 In the “Taskbar tidbits” section, click the “Let Cortana pipe up from time to time with thoughts, greetings, and notifications in the Search box” slider button so it turns black and reads “Off“. Cortana will now stay still and wait for you to use it. You can also disable Cortana and turn it into a plain Search box. 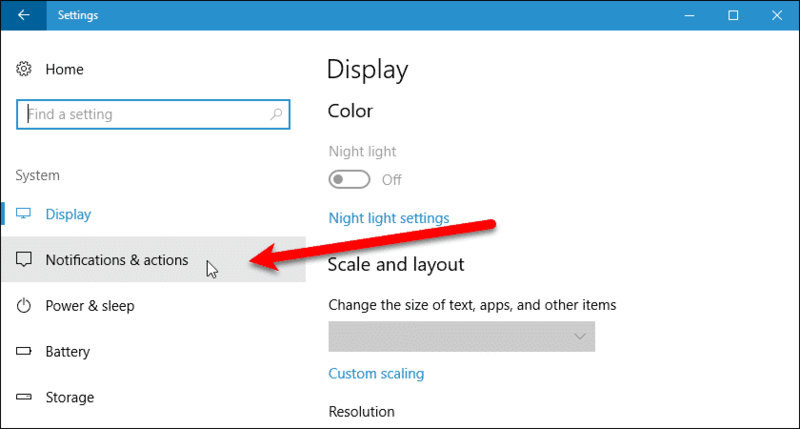 Microsoft added new “suggestions” that display as notifications in the Creators Update. 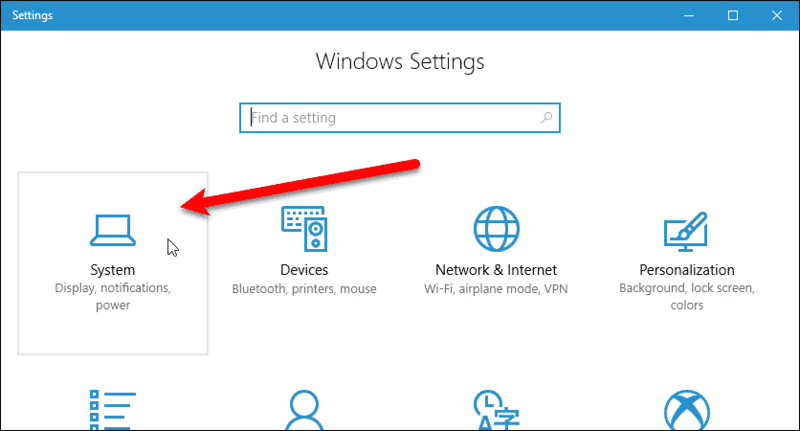 This part of Windows 10 advertising informs you about various Windows features. They display as normal desktop notifications in the lower-right corner of the desktop and are stored in the Action Center for later viewing. To disable these notifications, or “suggestions”, open the “Settings” app and click “System“. Click the “Show me the Windows welcome experience after updates and occasionally when I sign in to highlight what’s new and suggested” slider button so it turns white and reads “Off“. Now, you won’t see the “suggestions” as notifications. If you don’t have a OneDrive account or a subscription to Office 365, you may see an ad for either or both of these services as a banner in File Explorer. These ads were added to File Explorer in the Creators Update. To disable these ads, open File Explorer and click on the “View” tab. Then, click the “Options” button on the right side of the ribbon. Click the “View” tab at the top of the “Folder Options” dialog box. Then, uncheck the “Show sync provider notifications” box and click “OK“. You won’t see the ad banners at the top of the File Explorer anymore. Another part of the Windows 10 advertising is the “Get Office” app. It sits there on your Start menu and occasionally displays notifications encouraging you to download a month-long free trial of Office 365. It even displays on our Start menu, even though we have Office 2016 installed through an Office 365 subscription. However, unlike the Store and Xbox apps we mentioned earlier, the “Get Office” app can be uninstalled. 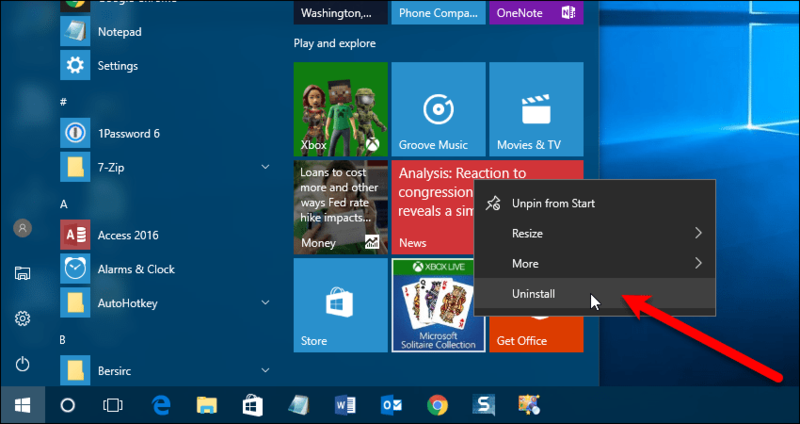 Simply right-click on the “Get Office” tile on the Start menu and select “Uninstall” from the pop-up menu. Microsoft added a new “Share” pane to File Explorer in the Creators Update, and there are ads on the “Share” pane. However, these ads are easily removed. 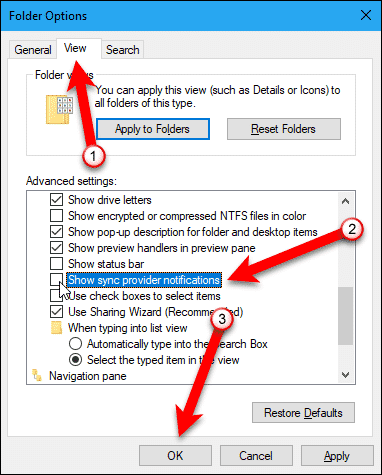 To open the “Share” pane, select a file or folder in File Explorer and click the “Share” tab. Then, click the “Share” button on the ribbon. 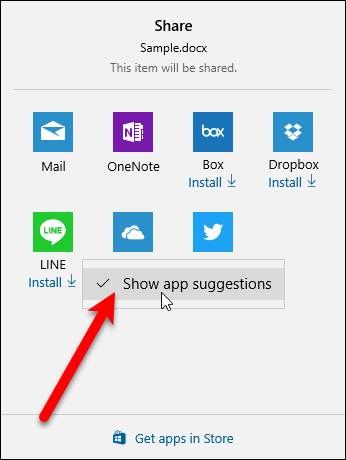 Installed apps that can be used to share files or folders are listed on the “Share” pane. However, Microsoft also shows “suggested” apps they want you to install from the Store. To hide the suggested apps, right-click on any app or on the Share pane itself and select “Show app suggestions” from the popup so it’s unchecked. Now, you will only see installed apps you can use to share your files and folders. What advertising have you seen in Windows 10? Have you seen any advertising we didn’t mention? If so, how did you get rid of it? Let us know in the comments.